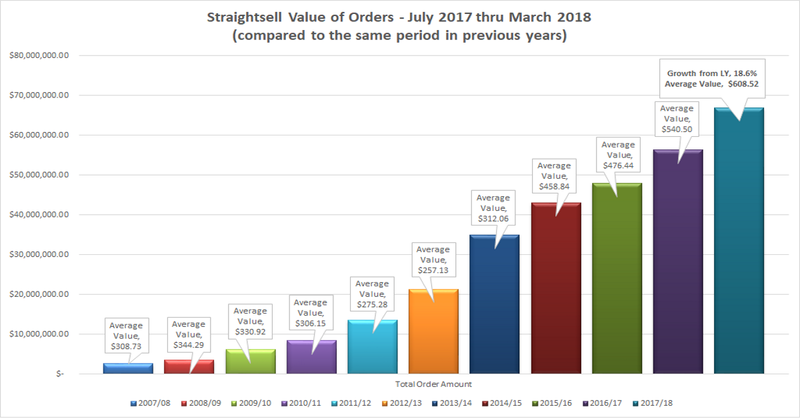 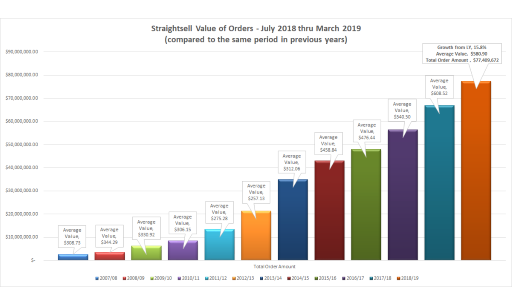 Straightsell order numbers and value of orders for July 2018 thru March 2019 are detailed in this latest article from Straightsell. Straightsell order numbers and value of orders for July 2018 thru December 2018 are detailed in this latest article from Straightsell. Straightsell order numbers and value of orders for July 2017 thru March 2018 are detailed in this latest article from Straightsell. 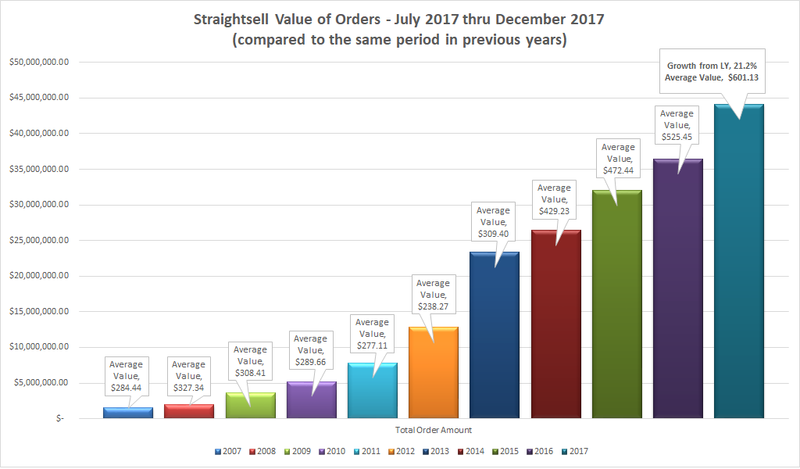 Straightsell order numbers and value of orders for July 2017 thru December 2017 are detailed in this latest article from Straightsell. 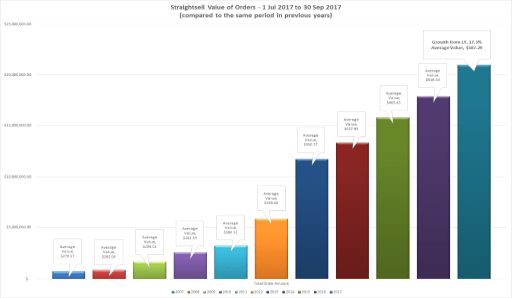 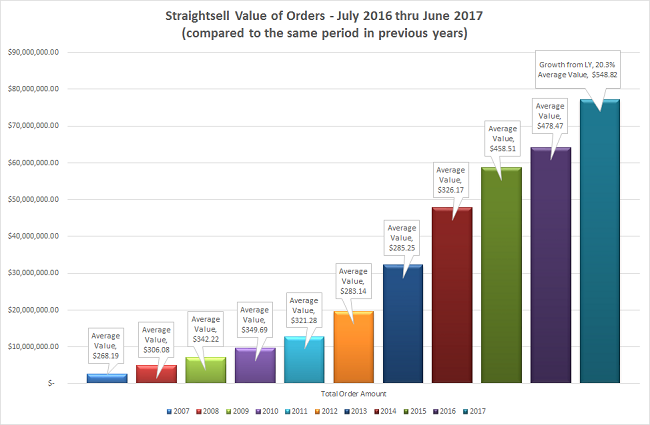 Straightsell order numbers and value of orders for July 2017 thru September 2017 are detailed in this latest article from Straightsell. 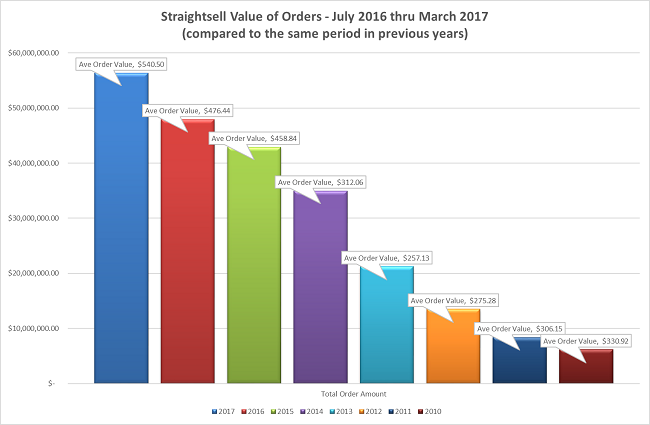 Straightsell order numbers and value of orders for July 2016 thru June 2017 are detailed in this latest article from Straightsell.